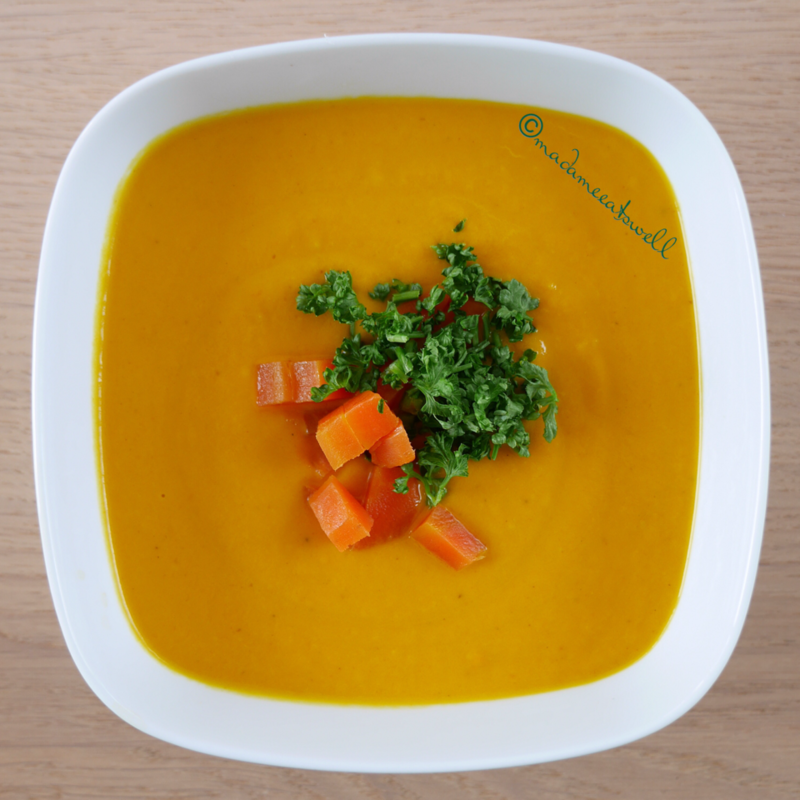 A sweet friend of mine made this soup for me a couple of days ago and I decided to give it a try, too. 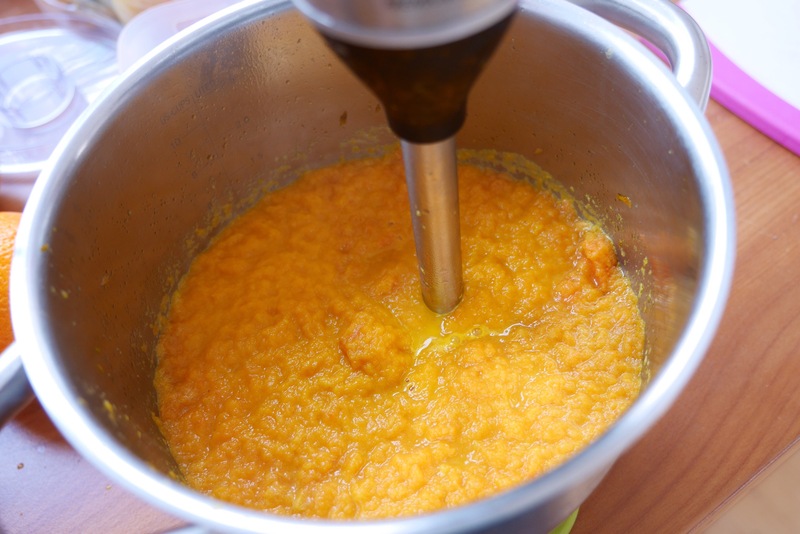 This recipe is easy, quick and the result is amazing! 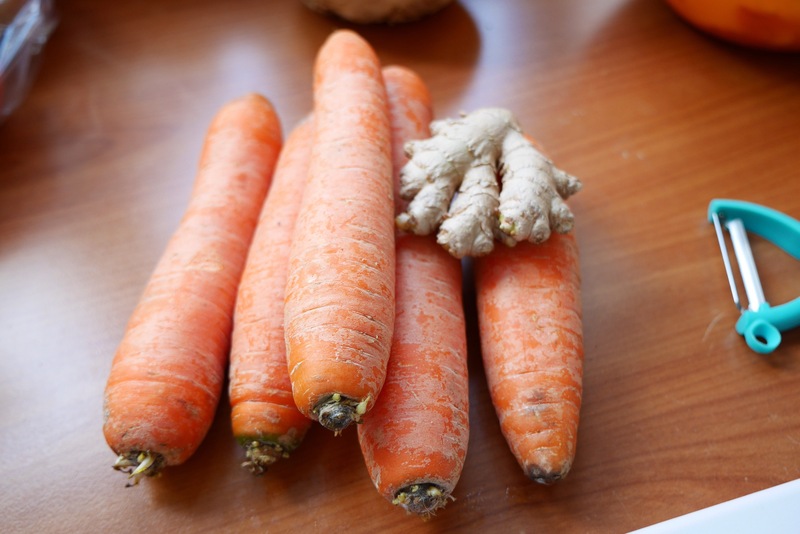 Peel the carrots and ginger. 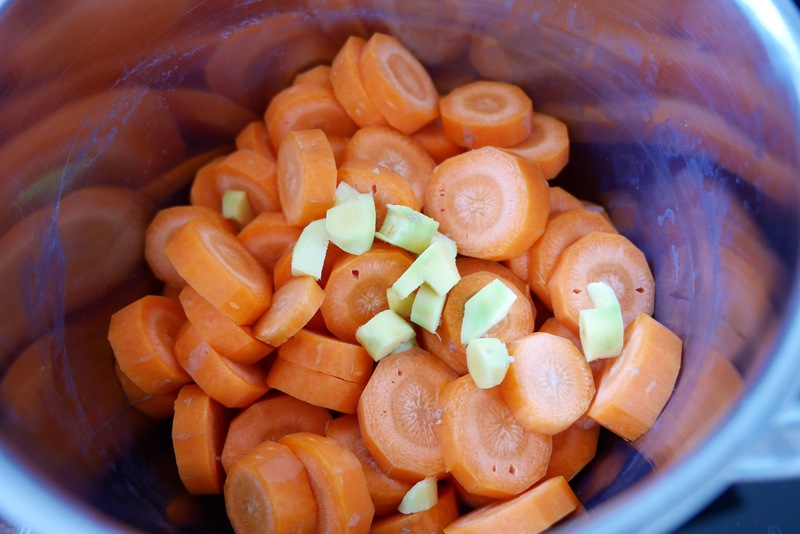 Chop all of it and throw in a pan along with the coconut oil or olive oil. Fry all of it for around 5 minutes. 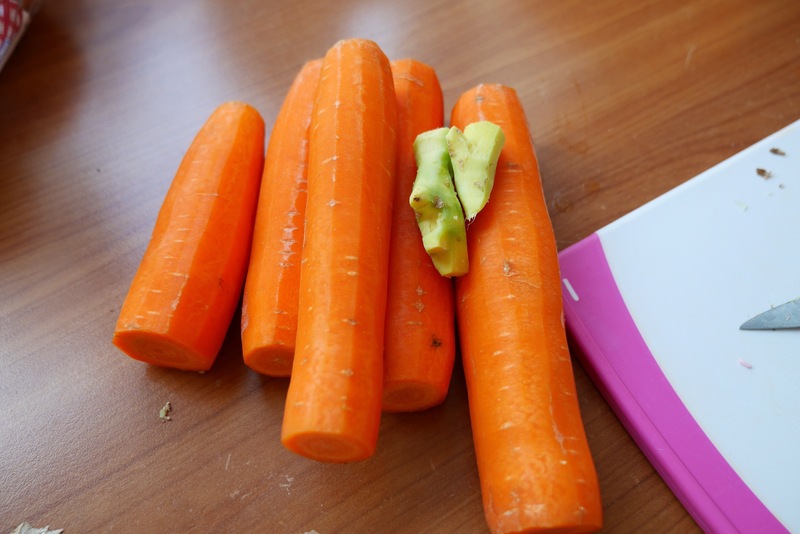 Add vegetable. 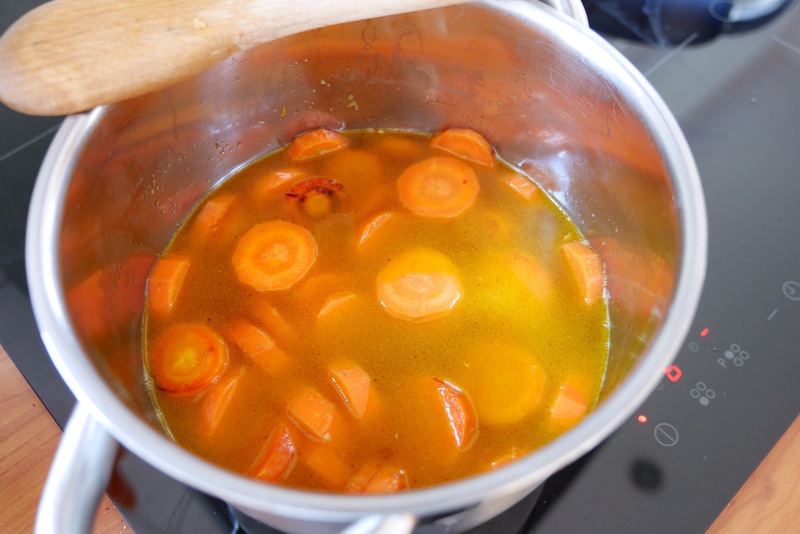 Broth and let simmer on medium heat until the carrots are soft. 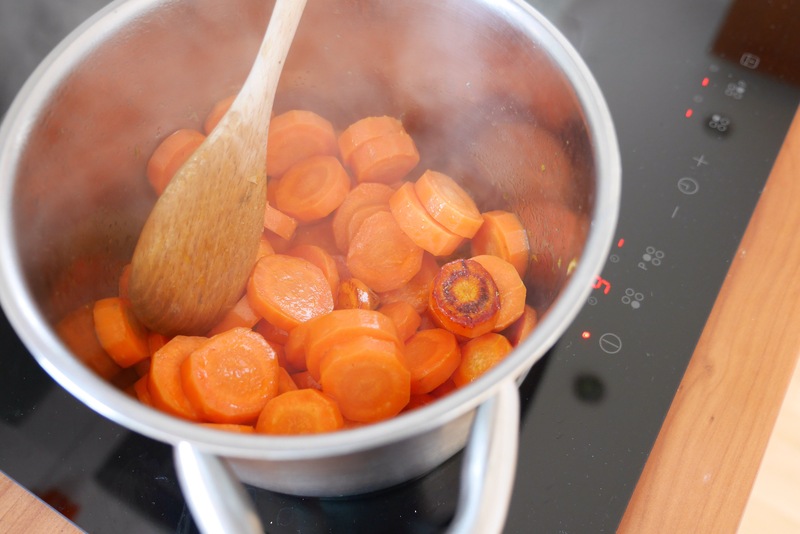 Take the pan off the stove, take out some carrot slices (for our decoration later) and purée the carrots with the broth. Set the pan back on the stove and add the coconut milk. You can add more if you like, we felt half a can was enough. 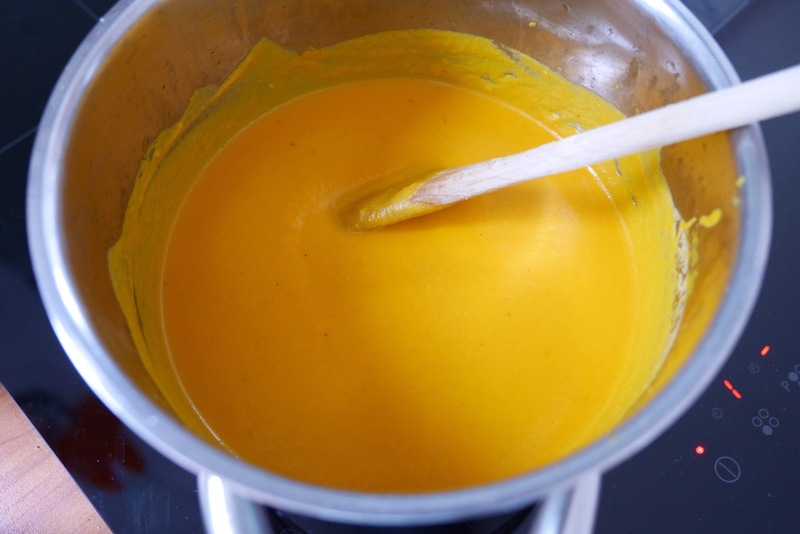 Turn heat down on lowest and add curry powder, salt and pepper according to your taste. 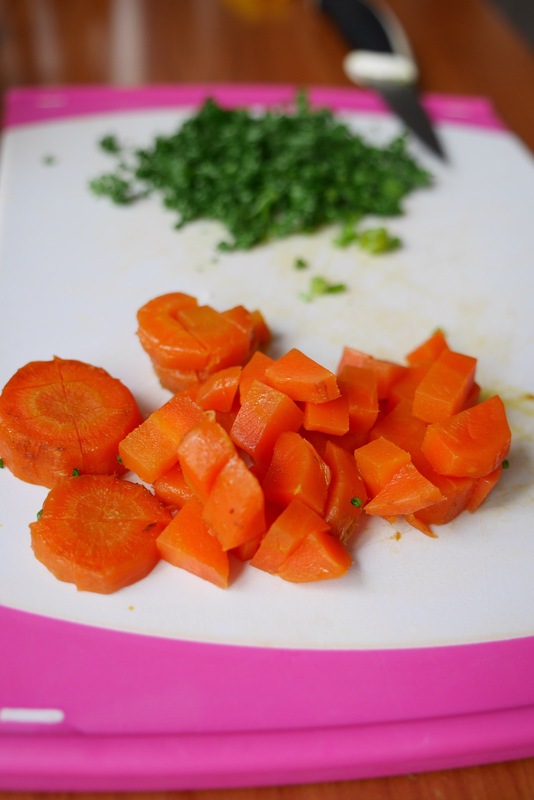 While the soup is simmering, quarter the left out carrot slices, chop the parsley (including the stems, theyr’e the best!!!). 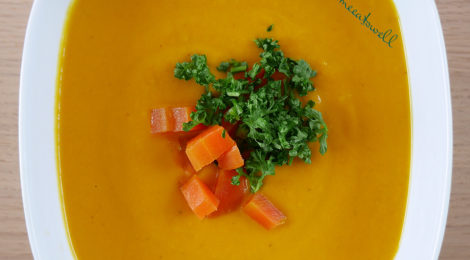 Fill soup cups with soup, garnish with carrot bits and parsley and voilà!